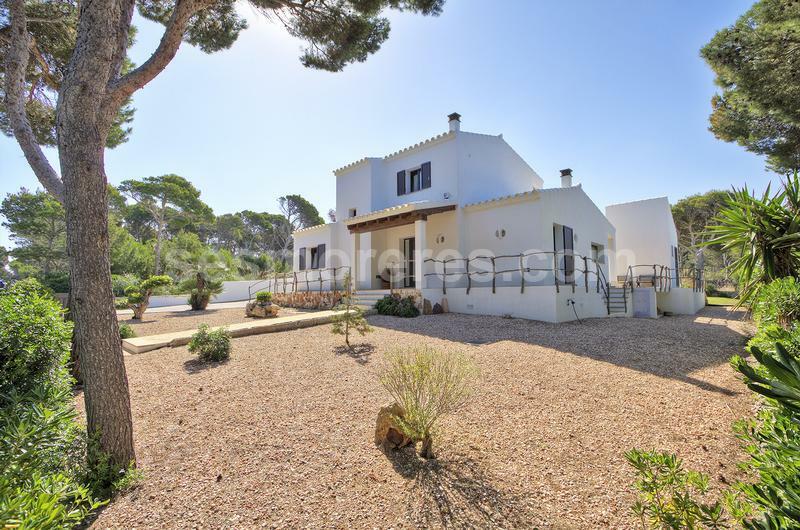 Beautiful villa with a unique design, located in the prestigious and quiet residential area of Cala Morell. 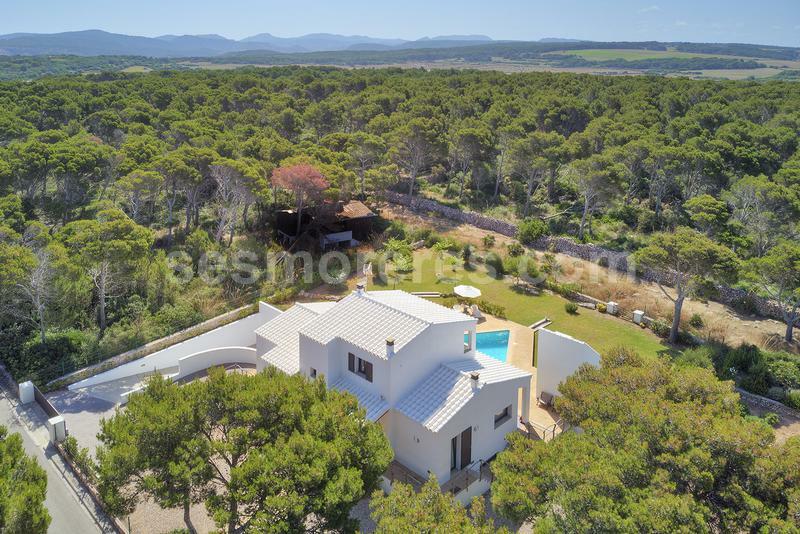 The south-facing property borders protected rustic land and is situated in an extremely quiet area, enjoying beautiful views of the countryside. 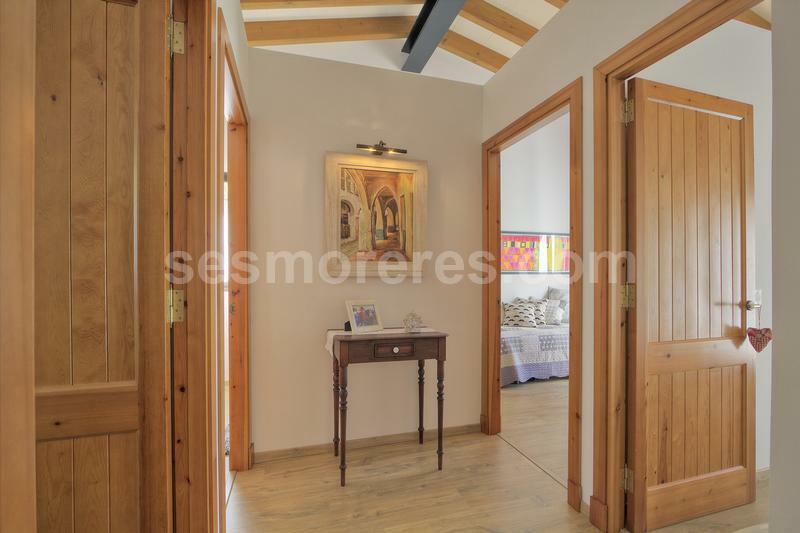 The house is built on two levels with high quality materials. 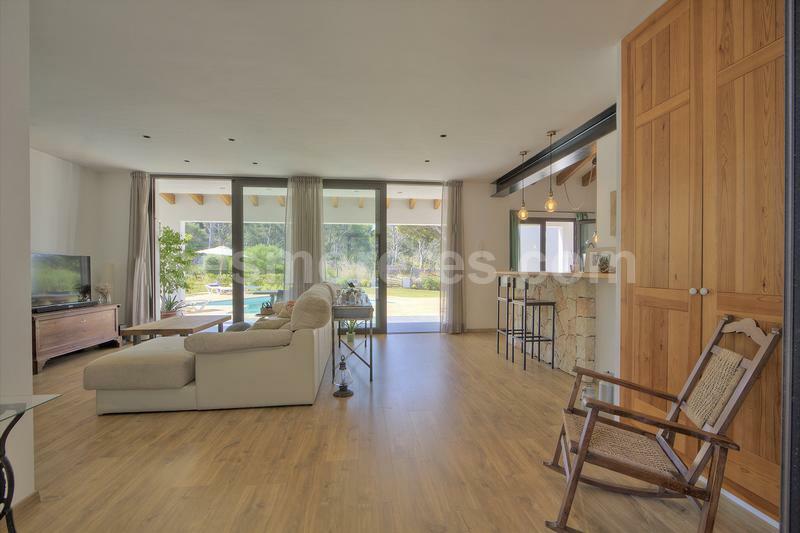 On the ground floor is the spacious living room with direct access to a porch and the designer pool, which is surrounded by a solarium and large garden. The beautiful open kitchen and its dining area connect to the main living room. 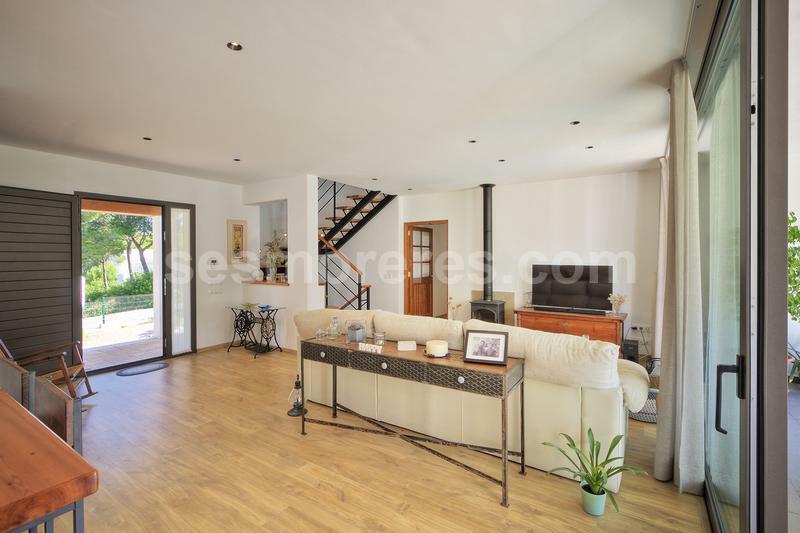 On this floor there are also 3 bedrooms, all with access to the exterior, 1 bathroom and 1 cloakroom. 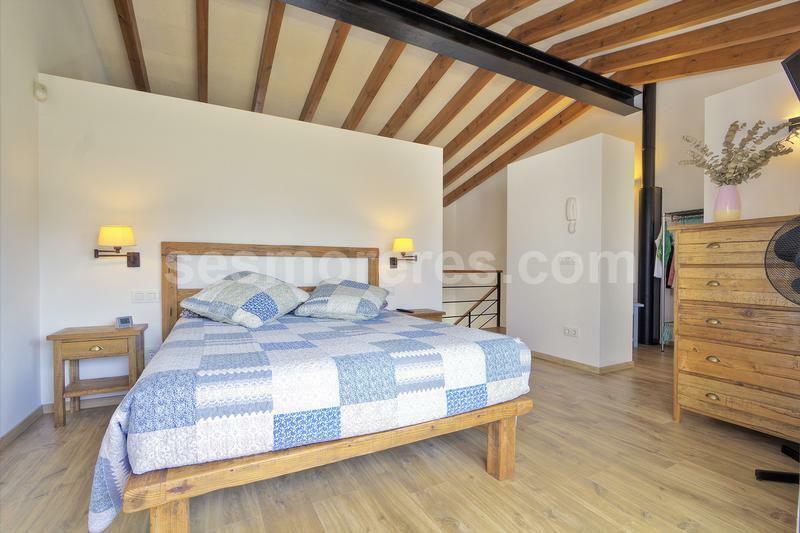 On the upper floor is the master bedroom suite with dressing room and a terrace overlooking the countryside. 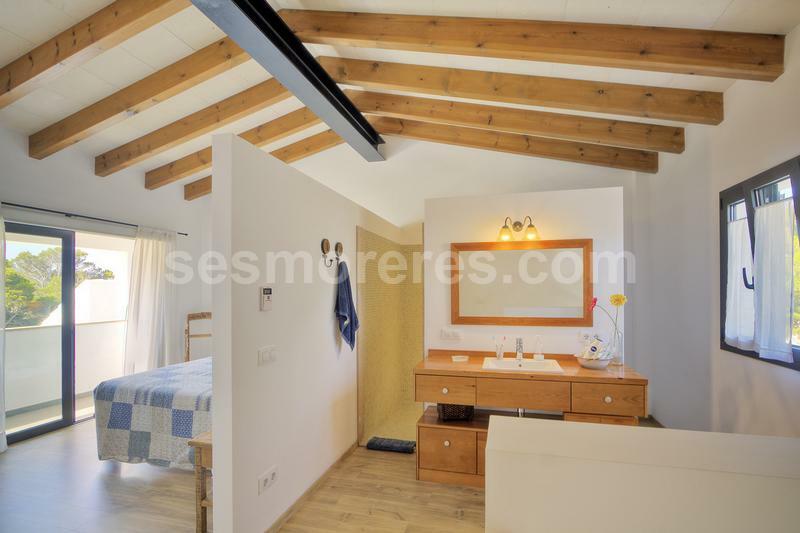 The property has a wide entrance with easy access, which leads to the basement of 180m2 with a large garage and several areas for different uses.